US-China Today: Q&A With Maurice Levine on the Rise of Fitness Culture in China . 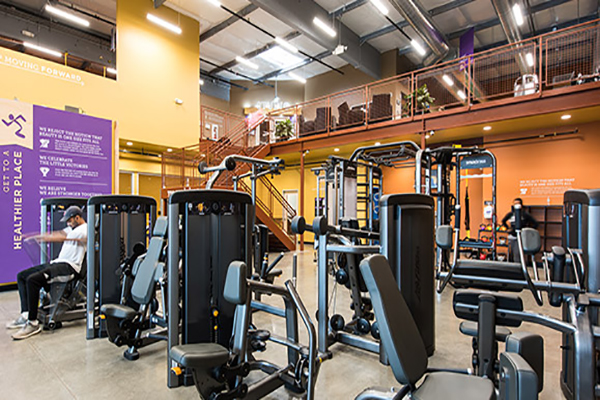 The interior of an Anytime Fitness gym. In so many ways. By holding classes that are free in the streets or in community areas, by providing wellness packages or offers to businesses. We don’t necessarily believe fitness has to happen inside the gym. It could happen anywhere there is an area to move or run. Some of the challenges though, in doing outside exercises as I see it these days in China, particularly in certain markets like Beijing, is that the air quality is sometimes not what you want it to be in order to get your wellness. I’ve personally run in the streets of Beijing, and I find that very difficult. And so that’s where we get some challenges making initiatives happen outside, because air quality sometimes tends to be very poor. We also do as much community outreach that works with other third parties, be they social community events or corporate, and we try to get them to learn more by them getting exposed to it and then hopefully coming to our gym -- where we have greater control, again, over particular things such as air quality, where we have air purifiers and so on. But something as simple as air quality prevents you from doing a lot of the work you want to do, to move and exercise in the streets. You almost have to look for an alternative to doing activity outside. I think this is generally the case, the elder population is the most challenging. I think the young audience, millennials and such, they kind of get it pretty quick. They love to come to the gym, take selfies and make it social, which is great. But the older generation I would say, 50+, 60+ and so on, either male or female -- there is no skew in that department, for those audiences, because they’ve developed their own habits, and they’ve done that over their lifetime, that’s hard to break. It is harder to get the aunties and the uncles to the gym, frankly, and to have them stay with it and change their dietary habits. We also have to recount the fact that we’re speaking about fitness, but if there’s not a combination of movement, exercise and diet… it’s very hard to break some of the diets that do not help the audience. To change your life at an older age, as it relates to eating habits and movement habits, is very challenging. But at the same time, when in China, when you’re in the parks, you see something - absolutely beautiful - many do taichi in the park. That movement is glorious.